﻿ Best Price on Hotel Honduras Maya in Tegucigalpa + Reviews! Featuring an outdoor pool, restaurant and garden, Hotel Honduras Maya is located in Tegucigalpa. Guests can enjoy the hotel’s bar, sauna and fitness center. Free WiFi access is available. Each room at the hotel offers a cable TV, desk and iron. Private bathrooms include a bath or shower, hairdryer and free toiletries. Extras include a coffee machine and linens. 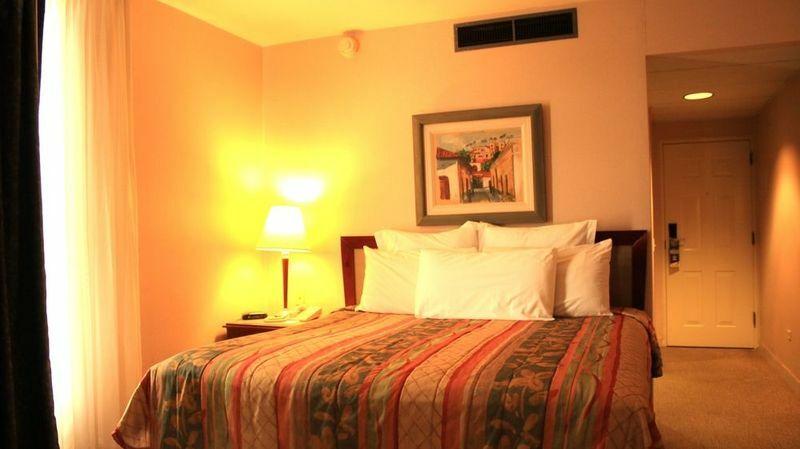 A 24-hour front desk welcomes guests to Hotel Honduras Maya, which provides airport shuttles and laundry services. Additional amenities offered at the hotel include a beauty shop, terrace and meeting facilities. The property offers free parking. Toncontin Airport is 3.1 mi away. Minimum age of guests is: 1 year(s).